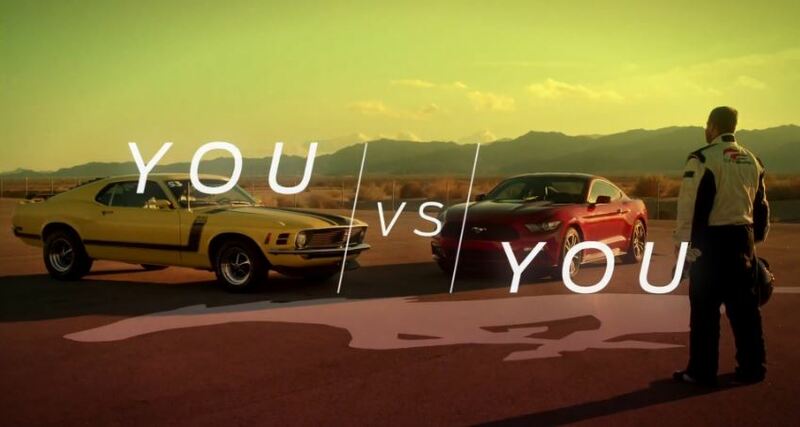 There are few better ways to prove the prowess of the new 2015 EcoBoost Mustang than putting it head-to-head with the iconic 1970 Boss 302 Mustang, which is exactly what Ford did! 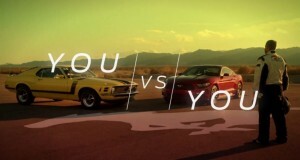 In one of the latest videos to come from Ford, they gave one driver the chance to drive to two very different Mustangs to see how they compared to each other. Tyler Hinkler was given the keys to a ’70 Boss and ’15 EcoBoost and was let loose on a track to see how the two compared to each other. As a long time Mustang enthusiast, Tyler got the chance of a lifetime to push two amazing Mustang’s to their limits on a road course- a dream come true for any Mustang fanatic! The 1970 Boss 302 Mustang set a tone for the Mustang’s legacy when it was unveiled, and that tone has only grown stronger over the years and is carried on by the new S550 Mustang. While the new EcoBoost Mustang received some criticism for using a 2.3L turbocharged 4-cylinder at first, it has continually proved what an incredible platform it is. Bama Performance has been one of the biggest proponents of the new EcoBoost drivetrain and have backed this up by building their own Bama-fied EcoBoost to be a 1/4-mile killer. Aside from bolting on 2015 Mustang parts to build up the new EcoBoost, it is quite impressive stock, which is what Ford drives home in this video. Granted, there is nothing quite like the sounds and sights of an original ’70 Boss Mustang, but the new EcoBoost Mustang lives up to the legacy of the Boss and continues to drive the legacy of the Mustang into the future. What are your thoughts on the new EcoBoost? Would you pass up a 1970 Boss for a 2015 EcoBoost? Comment below! I would definitely not pass up the 70, just because of its rarity and overall legacy, but the 15 is quite impressive. I tested both the ecoboost and the GT. The wallet wasn’t a factor as I had a budget in mind. My ego actually chose the eocoboost. I spent about $7000 below my budget. Base ecoboost Mustang, cloth recarros, performance package, rear park assist less than $30K. 23 mpg average on the first tank.